It is my family’s Thanksgiving tradition for those at the holiday table to name a few things for which they are thankful. Our lists usually include loved ones, friends, employment, a roof over our heads, health, and perhaps mention of a recent event or activity that held meaning or was especially pleasant. We express our thanks, but mostly we are grateful. There is a difference between being thankful and being grateful, but we don’t go all English major on one another by pointing it out. Semantics aside, it’s more important to acknowledge the bounty we have in our lives. Thanksgiving is a great day to practice gratitude, but that’s just the beginning. In numerous studies, practicing gratitude has shown a direct, positive link with happiness, moral behavior, social cooperation, optimism, generosity, and compassion. It is also credited with increasing physical well-being by reducing stress levels, blood pressure, depression, sleep disturbances, and feelings of loneliness, among other health benefits. It’s not too hard to understand why focusing on the positive provides more rewards than complaining, which is a learned habit. You have a choice: you can expend negative energy and grumble about how the grass is greener elsewhere, or you can put out positive energy and water your own garden. Whether you consider yourself an optimist or a pessimist, your outlook changes for the better once you take up gratitude as a habit. You can retrain your brain! •	At mealtime, instead of complaining about your day, express three positive things and acknowledge gratitude for them. Listen as your dining companion does the same. •	Keep a gratitude journal. At the end of your day, write down what comes to mind. Even if you only write one item, that’s 365 things to be grateful for at year’s end. •	Correct your self talk. When you think negative thoughts or feel depressed about circumstances, review the exercise above and find gratitude in a positive aspect, e.g., the ability to correct a bad situation. •	Speak your gratitude. A good way to reinforce your new habit is to speak it out loud throughout the day. You may notice a change in others around you as they experience your new outlook. •	Write reminders to yourself. Those with more solitary lifestyles may find it helpful to add notes to their calendar or write affirmations to follow through. Start practicing gratitude now, before Thanksgiving arrives. In a few short weeks you can change your perspective for the better. When the holiday comes, you’ll be delighted with your newly revitalized ability to feel and express gratitude. 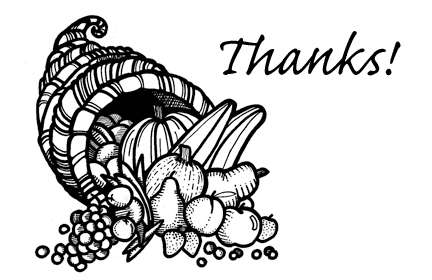 You can promote an “attitude of gratitude” with your family on Thanksgiving or any day of the week. And just in case you have an English major at the table, while there is crossover meaning for both words, “grateful” is feeling or showing an appreciation of kindness for which you may give thanks, whereas “thankful” implies relief or pleasure that things went the way you hoped. Today, you can be thankful you learned more about gratitude. Author/speaker Janet F. Williams is an oral and written communications specialist, sales trainer, writer, editor, and coach for personal and professional development. Her award-winning book “You Don’t Ask, You Don’t Get” helps readers ask for what they want and increase their chances of getting it. Contact Janet.